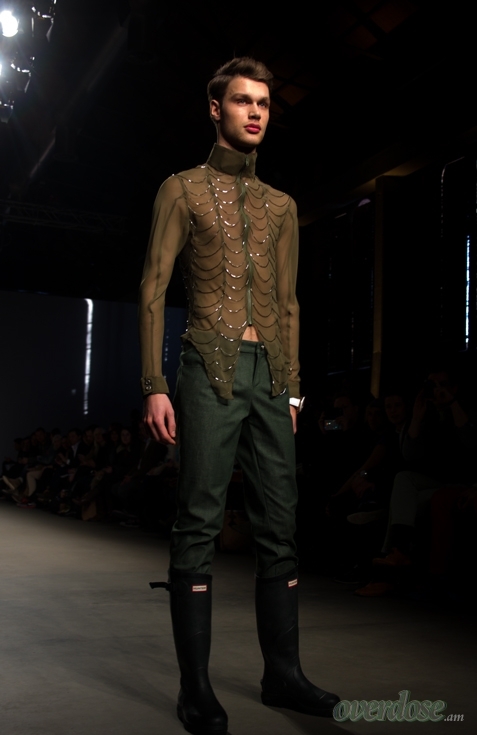 It seems that Studio JUX and Individuals weren’t the only ones who were inspired by armour. 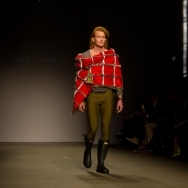 Allan Vos showed a collection that was reminiscent of an army with a lot of greens, beiges and occasional reds. 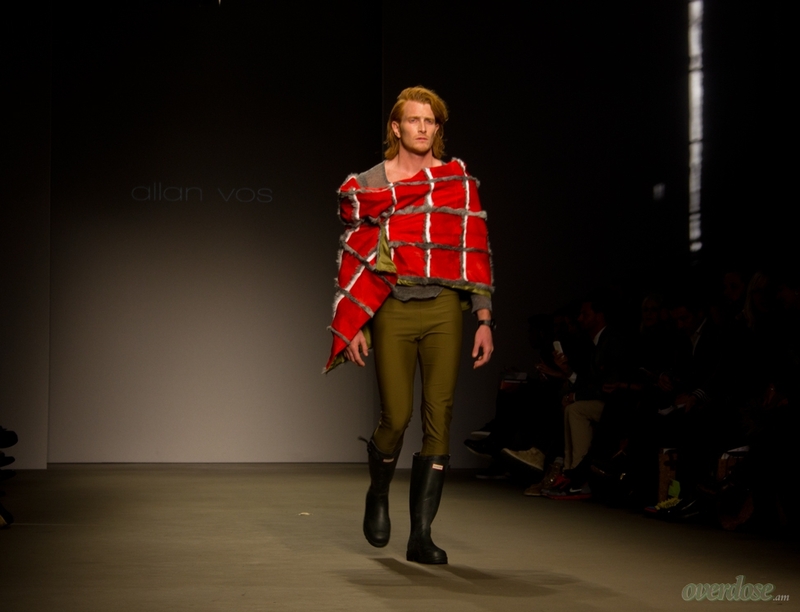 Allan Vos worked as a costume designer for Cirque du Soleil, Disney USA and other theater companies before he started his own brand. 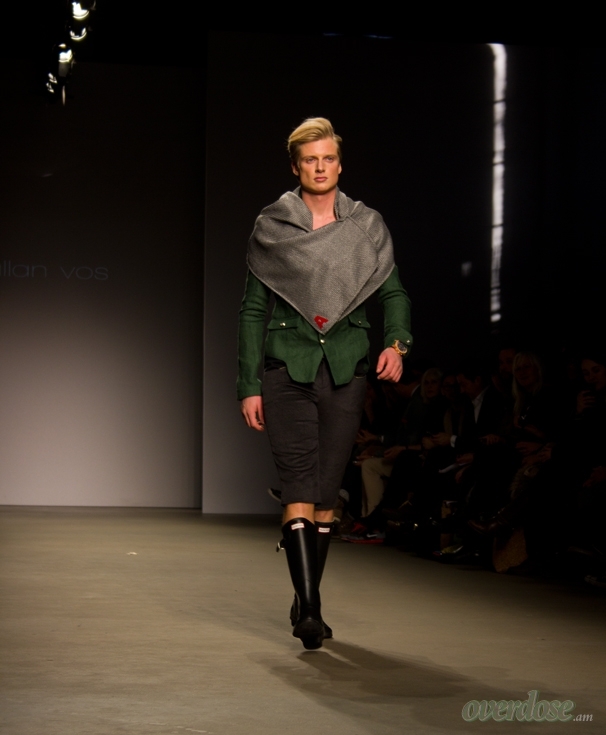 He worked hard to show his theatrical background, something he succeeded in. You have to admire the risks he took. 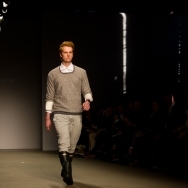 The models strutted down the catwalk on hard house tunes, wearing suits with just a hint of army. 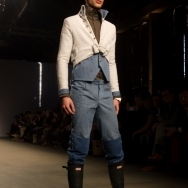 The buttons on the jackets and blouses reminded me of Napoleon. I can only guess, but I think he was inspired by the crisis as well. (Revolt?!) 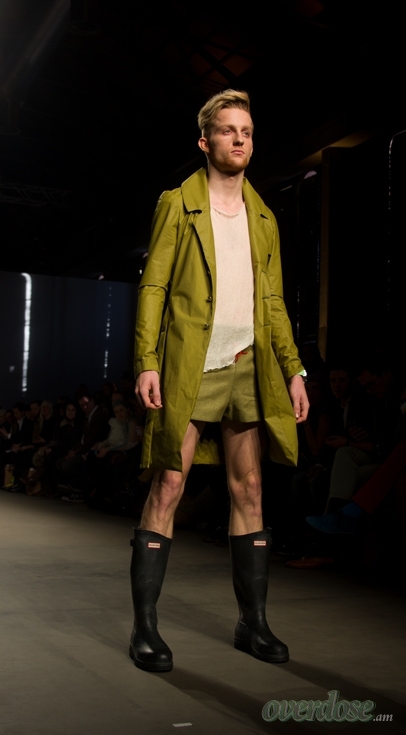 The models wore Wellies with their outfits, something that only emphasized the army feel of the collection. 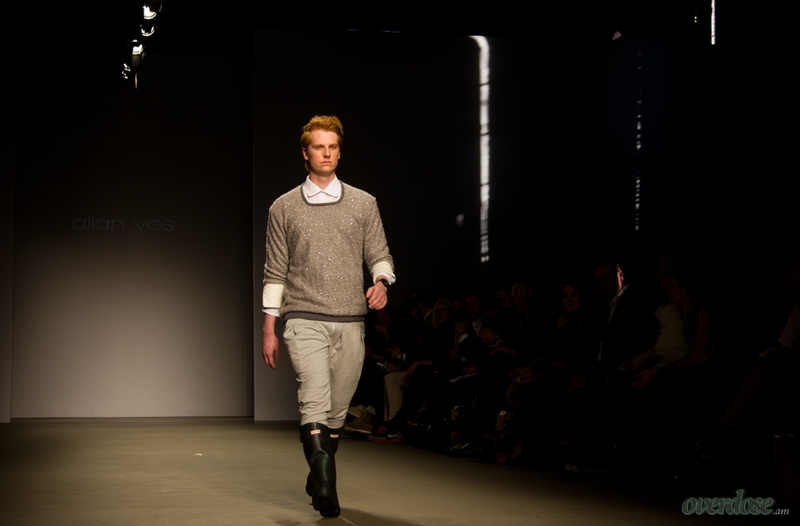 The fabrics ranged from sturdy cotton to see-through shirts and tight jeans. 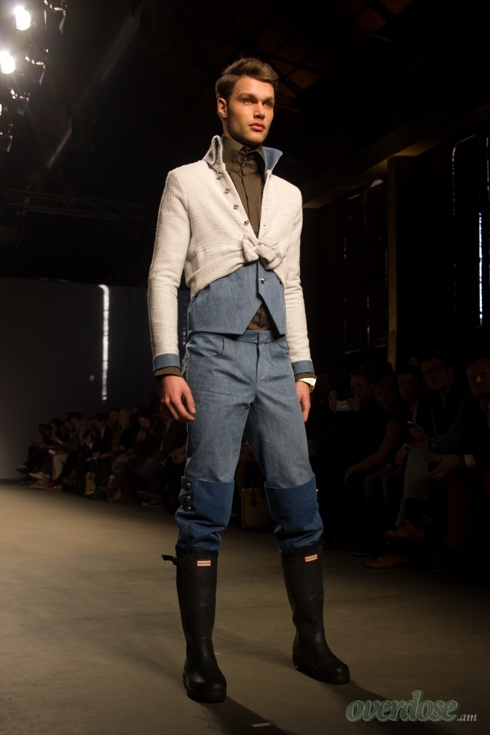 This collection can be for every man, but they have to be able to incorporate it in their wardrobe. 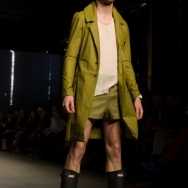 I sincerely hope to see a bit more of the man-skirt in upcoming spring, but maybe this is a long-shot for Dutch men. 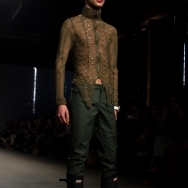 There was also a bit of glitter in the collection, something I encourage. 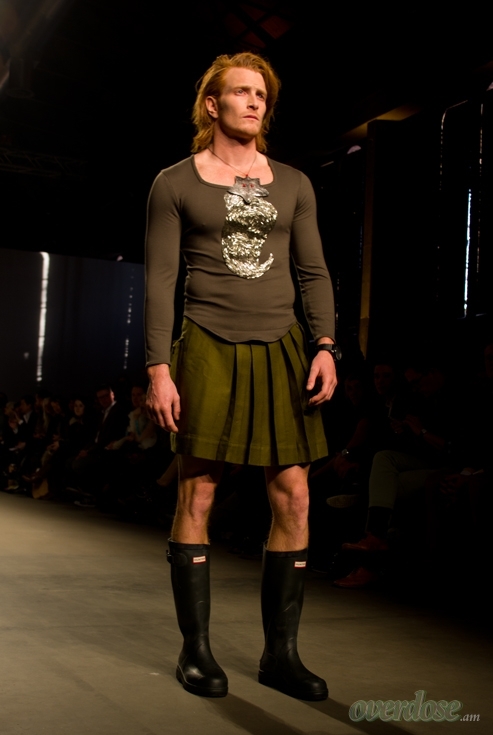 All I can say is ‘Embrace the Fashion’, men of Amsterdam. Let’s show some daring moves. 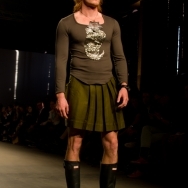 But if you’re going to wear that man-skirt, please do wear something underneath. Let’s keep some things to the imagination.